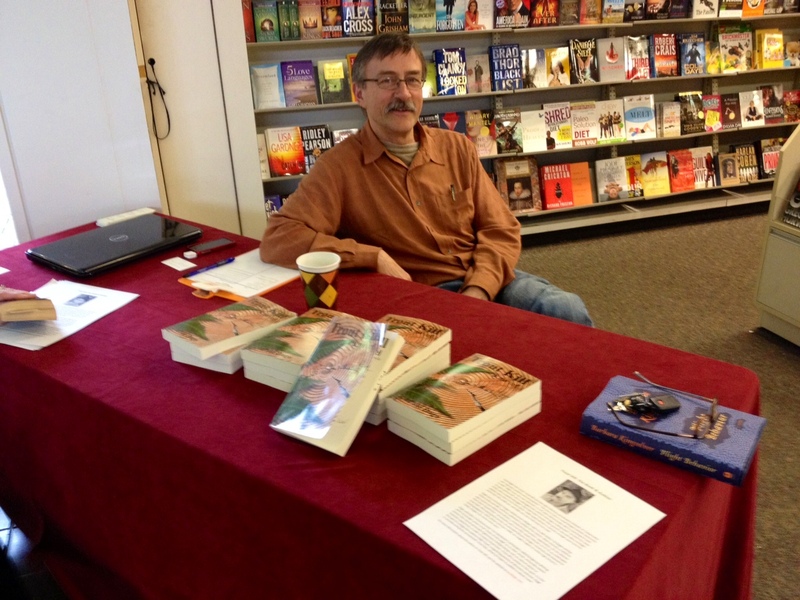 Book Tour, Day Two: Roseburg | Paul Allen Dage, etc. Thank you, Hannah, the manager at V. W. Books in the Roseburg Valley Mall, for hosting this signing event. You are wonderful, and the coffee was much-needed! It was my first experience sitting at a signing table waiting for random folks to stop in, chat and maybe buy a book. It was fun, especially when Roy, an old high school buddy, dropped in for a visit, along with his wife, Janet, and mother-in-law, Dorothy. A big lesson I learned from this, my first tour, is don’t trust the media to get things right. Not only did the Douglas County News fail to publish my profile, but also the News Review paper didn’t get the date correct for the V.W. Books signing on their community events page. From now on when I contact media sources to publicize a signing, I’ll follow the old adage Trust But Verify. This entry was posted in Uncategorized on March 15, 2013 by Paul Dage.